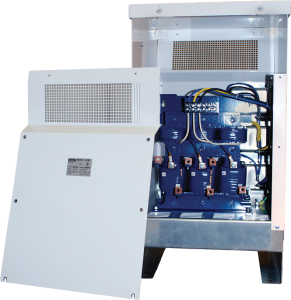 Using 6 Pulse VFD to Achieve Superior Product Performance and Reliability! Home » Achieve Superior Product Performance and Reliability! For an oil producer, Matrix® AP Harmonic Filters with 6-pulse drives proved to be a higher performance, lower cost harmonic mitigation solution when compared to multi-pulse drives. Progressive Cavity Pumps (PCPs) on artificial lift systems are often driven by Variable Frequency Drives (VFDs). These drives help the motors run more efficiently but also introduce harmonic distortion. Unmitigated harmonics can lead to power quality problems on the system as well as the power grid. A global drive manufacturer working with MTE achieved a winning solution with improved quality, increased productivity, and greater operational efficiencies. A large global drive manufacturer was looking for a competitive edge. They wanted to win by lowering the total cost of ownership for the oil producer. Specifications called for multi-pulse drives that are not as effective under light loads and are sensitive to voltage imbalance. This can lead to poor harmonic performance, overheating, mechanical stresses, and shortened equipment life. Furthermore, a multi-pulse solution has lower overall power system efficiency. MTE worked closely with a drive manufacturer to deploy a solution to optimize the entire system. 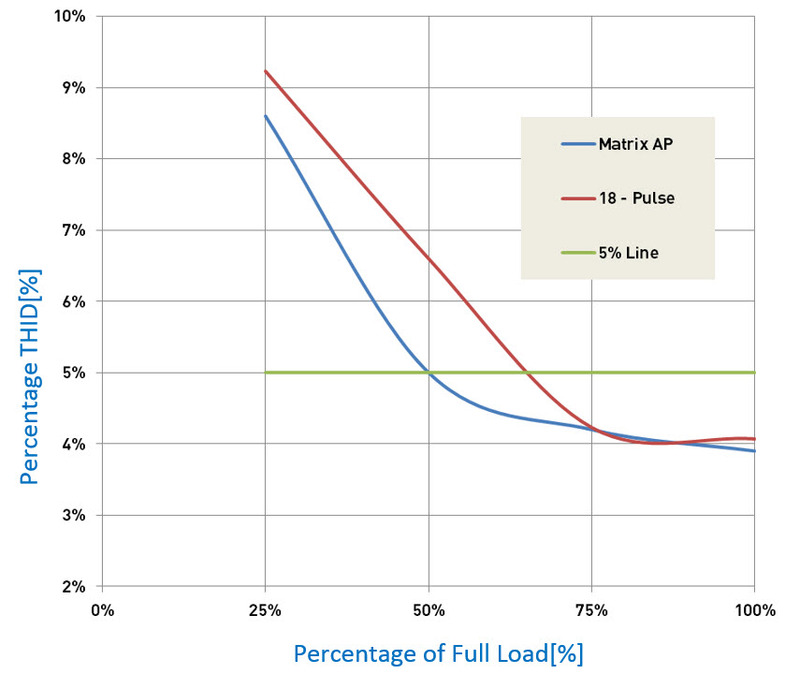 Test data provided by MTE demonstrated that the Matrix AP Harmonic Filter, with a 6-pulse drive produced superior performance and improved efficiency when compared to 18-pulse and Active Front End (AFE) drives. Power loss: Approximately 665 less watts consumed. Harmonic performance under balanced line conditions: 1%-2% better THID performance for loads 25%-75% and equal performance for loads greater than 75%. Significantly better harmonic mitigation performance under line imbalance conditions. Power Factor: Better to equal performance for loads 50%-100%. The Matrix AP Harmonic Filter, with MTE’s innovative adaptive passive technology, is the most advanced harmonic filter that provides improved power factor and energy efficiency. Using the patented adaptive passive technology, the filter adapts to various loads while providing optimized THID performance. It guarantees a THID performance of 8% MAX at 30% load and 5% MAX at full load and helps meet IEEE-519 requirements.